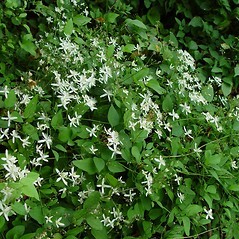 Yam-leaved virgin's-bower hails from Japan and is introduced in North America. In New England, it is known from all states except Maine. 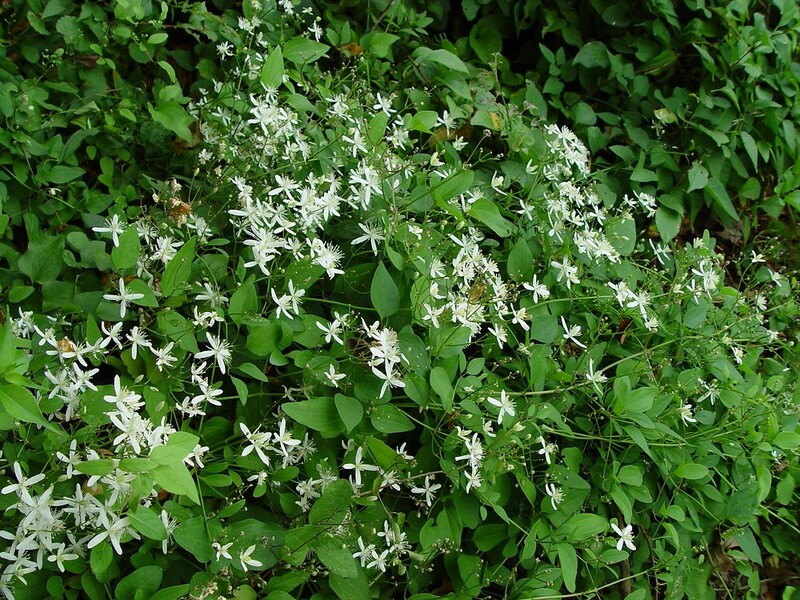 This is a vigorous climber (when it cannot climb, it sprawls and creates dense ground cover), which produces large numbers of showy, white flowers in the fall. 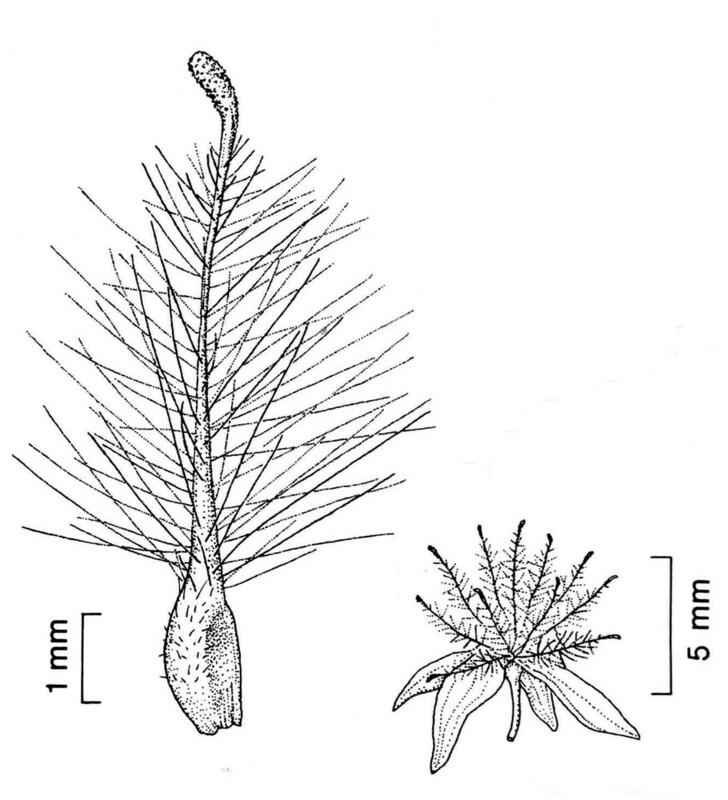 It also produces large numbers of seeds, each bearing a silver, feathery tail that aids in dispersal. 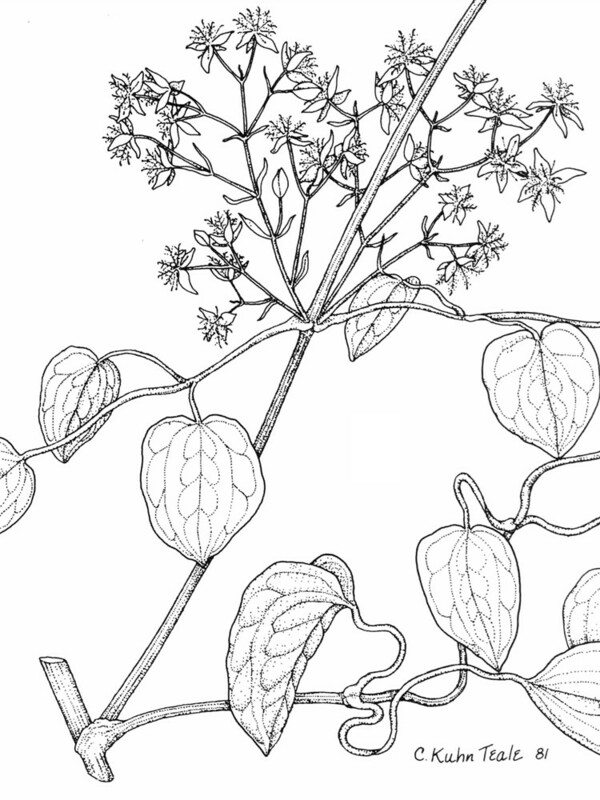 Because of its "rampant" growth and tendency to self-seed outside the garden, this species is regarded as invasive in parts of its North American range. 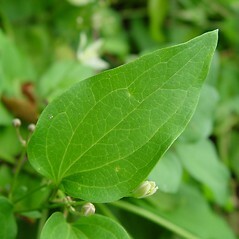 sepals tomentose adaxially, leaf margins entire to crenate or dentate, and flowers with 20 or more carpels (vs. C. terniflora, with sepals glabrous adaxially, leaflet margins entire, and flowers with 10 or fewer carpels). 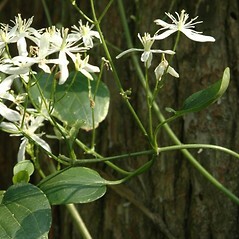 flowers unisexual, the carpellate ones with 40-70 carpels, and leaves with 3 leaflets (vs. C. terniflora, with flowers bisexual or sometimes some of them unisexual and then staminate, the bisexual ones with 5-10 carpels, and leaves with 3 or 5 leaflets). 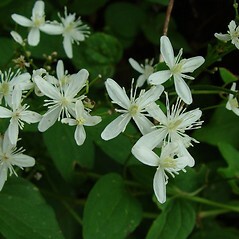 Clematis dioscoreifolia Levl. & Vaniot var. robusta (Carr.) Rehd. 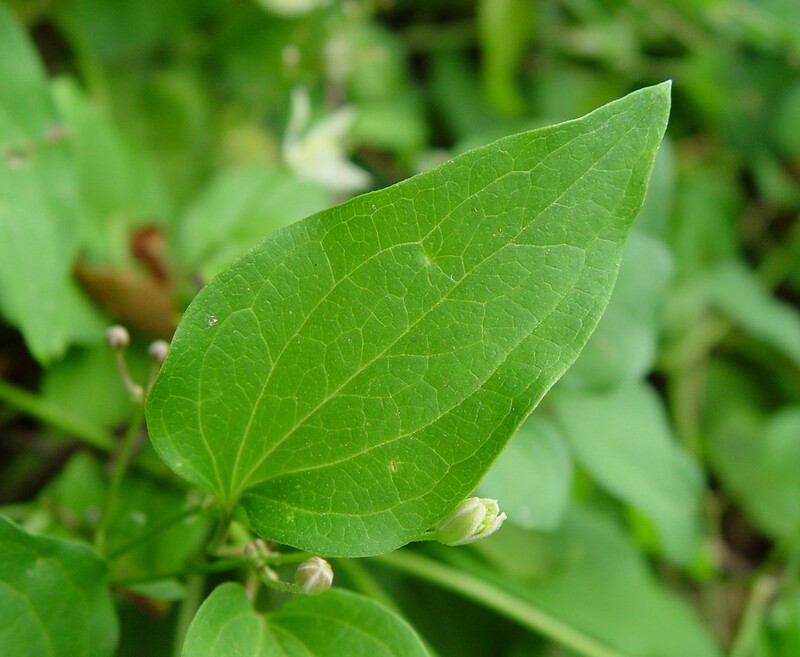 yam-leaved virgin’s-bower. 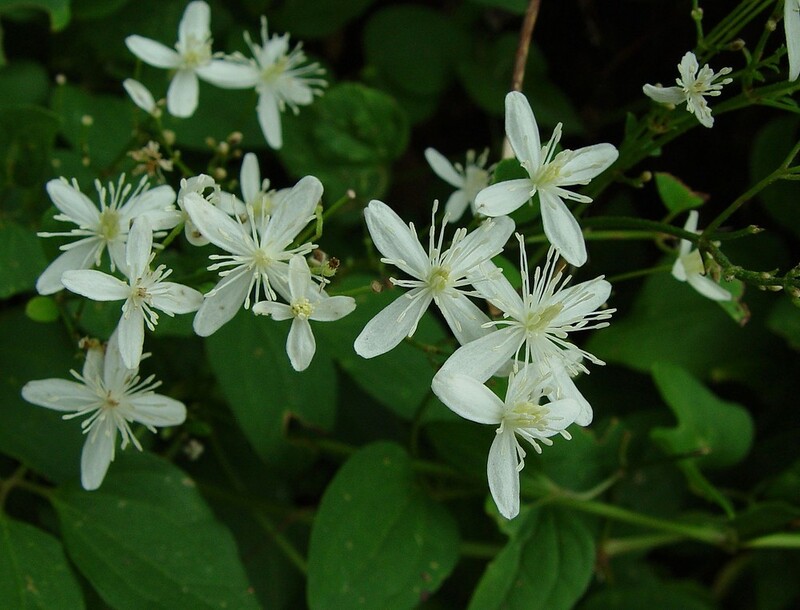 Clematis dioscoreifolia Levl. 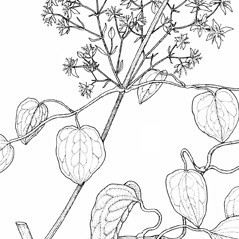 & Vaniot; C. dioscoreifolia Levl. & Vaniot var. 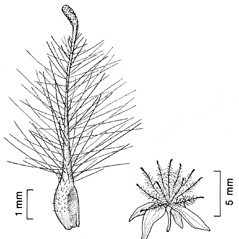 robusta (Carr.) Rehd. 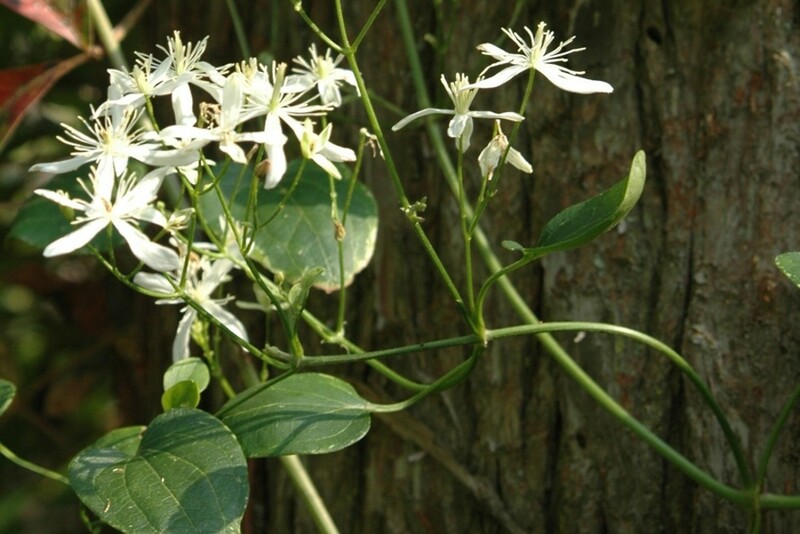 ; C. paniculata Thunb. • CT, MA, NH, RI, VT. Roadsides, fields, forest fragments, near dwellings.